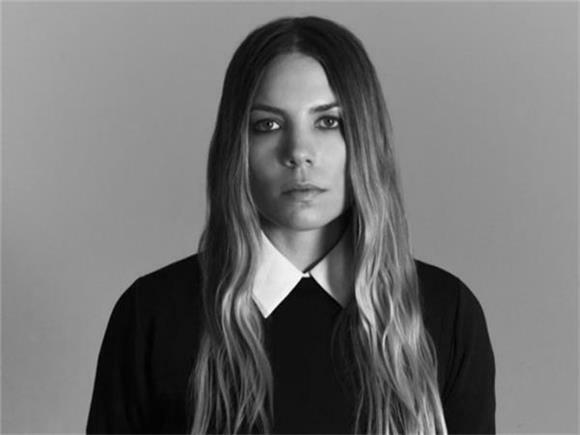 Singer-songwriter Skylar Grey just released a Daniel Carberry-directed video for "Lemonade," and boy, is it haunting. It tells the story of two separate relationships: One between a wife and her husband and the other between a dog and its owner. Grey acts as some sort of figure who sees all, as she makes eye contact with the camera and watches how these relationships go down (and then brutally makes them pay for it). She's like a scary-but-awesome Karma God. We see a man yelling at his dog and treating it poorly (I can't watch animal abuse without crying almost instantaneously). Grey then comes and buries the owner in the ground. When he finally gets out, he reads a piece of paper that says "How does it feel to be treated like your dog?" After that, he's all smiles as he feeds his pup and plays with him. The second story follows a woman who seems to be cheating on her husband with a young fellow in the woods. After Grey witnesses this, she gets a hold of the woman and tortures her. When she lets her go, she runs home to her husband, bloodied face and all, and they hug it out. As this whole video unravels, the fresh, natural lighting quickly catches us off guard, flashing to a dark red and black -- symbolic of having some bad with the good? "Lemonade" is off of Skylar Grey's latest album, Natural Causes, out now.